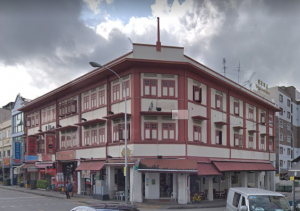 Five adjoining freehold conservation shophouses at 236 to 244 Geylang Road is launched for sale via Expression-of-Interest (EOI) announced Colliers International today. Colliers said healthy interest is expected for the adjoining freehold conservation shophouses as it could potentially be converted to student housing. The adjoining freehold conservation shophouses are up for sale for an indicative price of $28 million. The adjoining freehold conservation shophouses located at the junction of Geylang Road and Lorong 10 Geylang Road – is well-positioned to benefit from the ongoing transformation and revitalisation of nearby Paya Lebar regional centre and the Kallang River precinct which will likely bring more buzz and commercial activity to the area. The adjoining freehold conservation shophouses sit on a 7,411-square foot conservation site and have an existing floor area of approximately 21,349 sq ft. Under the 2014 Master Plan, the site is zoned “Commercial” with a plot ratio of 3.0. 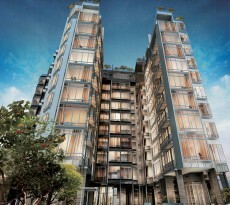 Owing to the Property’s commercial-use zoning, the additional buyer’s stamp duty (ABSD) and seller’s stamp duty (SSD) are not applicable. 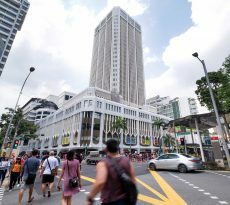 The indicative price of $28 million for the adjoining freehold conservation shophouses works out to about $1,312 per square foot based on the floor area – more attractive than the $1,500 psf achieved for 733 Geylang Road which was transacted in May this year. In the first nine months of 2018, shophouse transactions valued at over $5 million each came in at 71 deals which amounted to a total value of $983 million. This has surpassed the $536 million from 45 transactions (valued at over $5 million each) recorded in the corresponding period in 2017. 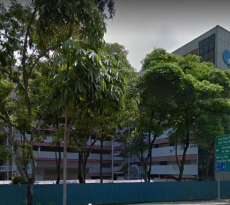 The five adjoining freehold conservation shophouses – all comprising three-storey plus attic – are conveniently situated within 700-metre radius to Kallang and Aljunied MRT stations. Nearby amenities include a myriad of food and beverage outlets, boutique hotels and residential apartments. The Property was designated for conservation on 25 October 1991. Under Master Plan 2014, the adjoining freehold conservation shophouses can be used for shops, office, commercial school and gym/fitness centre on the first floor. Meanwhile, allowable use for the second to fourth storeys include: Shop, office, and stores selling take-away food. A host of other uses are subject to evaluation, such as pet shop and medical clinic on the ground floor and residential, student hostel, childcare and gym/fitness centre on the upper levels. 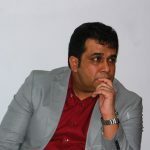 Currently, about half of the Property are tenanted to multiple users, including a money changer, café, hair salon, restaurant and an association. The EOI exercise for the adjoining freehold conservation shophouses will close at 3 pm on 22 November 2018. “Increasing student numbers and a structural under supply have driven rental growth and occupancy for student accommodation,” added Mr Ho. Student accommodation offers better returns as investment properties than offices and residential housing, are recession-proof and a great diversifier in any portfolio. Singapore was the largest cross-border investor in student housing assets globally in 2016, with our sovereign wealth fund GIC partnering global student accommodation specialists to buy such investment properties in Europe, Australia and America. According to data provided by Wealth X for The Wealth Report the number of ultra-wealthy individuals – those with US$50 million or more in net assets – increased by 10 per cent in 2017, equivalent to 11,630 individuals, taking the global population to 129,730. Asia has overtaken Europe in absolute numbers of ultra-wealthy individuals. As at end of 2017, Asia boasted 35,880 ultra-wealthy individuals compared to 35,180 in Europe. According to the Report Singapore is at the fifth spot on an overall global ranking as a favoured destination for property investments among the world’s ultra wealthy. In the Report’s ranking of the cities that matter most to the ultra wealthy, Singapore also took fifth spot. It was the only city in Asia which occupied the top 5 spots. Are planning to invest in commercial properties but unsure of funding? Don’t worry because iCompareLoan mortgage brokers can set you up on a path that can get you a commercial loan in a quick and seamless manner.